Whether we’ve been naughty or nice, we all deserve to treat ourselves. But since we are living off of coaching salaries and can’t afford to do that without maxing out our credit cards, here is a gift guide for the coach’s wife that can easily be sent to your parents, in-laws, or anyone else that may feel the need to spoil you this season. Unlike the score of the big game, gift cards are always a sure thing. Target, her favorite clothing store, Starbucks, Bath & Body Works, her go-to salon, and restaurants are all good options for gift cards. Our babysitter recently called and asked if we were home. When she arrived (right at supper time), she was carrying a pan of spaghetti, bread, and homemade bread pudding. This was our Christmas gift, and it was beyond appreciated. I was even able to freeze half to have stashed for an emergency. If you don’t cook, delivering a catered meal is just as good. Just feed us!!! 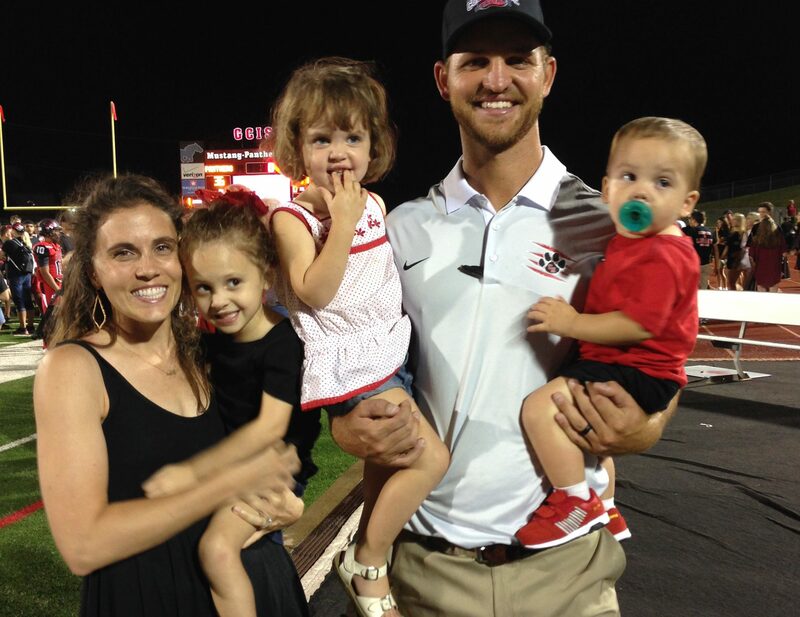 Especially if there are small children in the equation, coaches and their wives do not spend much quality time together. A gift card to a restaurant and the movie theater are awesome (again, budgets), and bonus points if you babysit for the night as well. If she has small children, offering to babysit for the game will ensure that you are literally her favorite person. If you are really good like my father-in-law, you can show up with happy meals. She will worship you if the kids are in bed when she gets home. These are awesome for keeping drinks hot or cold. My favorite brands are Yeti, RTIC, and Contigo. My ride or die is the Contigo autoseal water bottle. 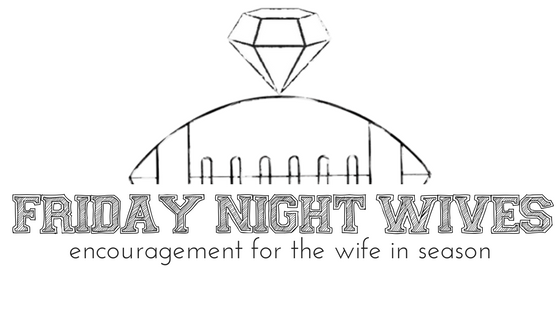 Friday Night Wives also has a design customized for coaches’ wives that might make her giggle. I can throw it in my purse or diaper bag, and it WILL NOT spill. If you really want to make her happy, find out her favorite drink (or adult beverage) and include that in her gift. Coaches’ wives often find themselves entertaining for team functions or spur of the moment get-togethers with the other coaching families. Pretty serving ware is something that she really could use but probably will not buy herself. Wilton Armetale is a good option for something neutral but still pretty. This brand boasts that it keeps food hot or cool longer, and I have seen platters stuck in the oven for a quick warm up with no major consequences. Recently, a fellow coach’s wife of mine was gifted the cutest platter with our mascot and school colors painted on it. This is an amazing gift if you are super creative or happen to find something similar at a local shop. Chances are, she already has a ton of team t-shirts. Lots of small online businesses sell cute graphic tees for coaches’ wives, not to mention yours truly. You can also have a shirt, sweatshirt, or jacket customized for her. Scarves, beanies, and raincoats are other necessities that she would appreciate having in team colors. Pay attention to what she does not have or ask Coach to do a little detective work. When it is cold, nothing is better than sitting at the field bundled up in warm clothes and a blanket with a cup of hot chocolate (that will stay hot in your new stainless steel cup). Currently on my wish list is a blanket in school colors with our mascot embroidered. If you want to be extra bold, you can find blankets with a ginormous image of a team’s mascot, like the lion blanket below. Any mom with littles would probably love a portable folding rocking chair. Chairs with mesh backs, cup holders, and snack trays are also nice. For the brave wife who dares to sit in the bleachers (or has no other option), stadium seats can help her to sit a little more comfortably. Coaches’ wives are a special breed and definitely deserve to be treated every day of the year for putting up with their husbands’ demanding, crazy schedules. I hope that these gift ideas inspired you, but if all else fails, there is always wine.